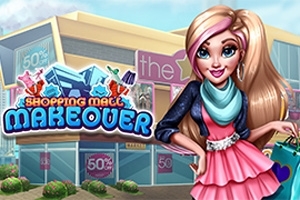 Your best friend, Marie, got hired to completely redesign the old mall in your town. But look at this mess! Marie desperately needs help and you, as her best friend, are there to help her! She needs help with cleaning, repairs and redesign of the shoe and clothing store, and the perfumery and cafeteria also need some rework. Get rid of the rubbish, cobwebs, and use your toolbox to make everything new and pretty again! Then choose the right furniture to make all the shops as inviting as possible. If you don’t like the result - don’t worry, you can always come back to any room and change the decor and get a better score!